Howard County has several programs that work towards increasing the economic and environmental sustainability of local farms. Approximately ¼ of all Howard County lands, or 40,000 acres, are farmland. Howard County has a diverse agriculture industry including 335 farms. Howard County has developed initiatives to support the health and vitality of farming in the county. Programs are in several different agencies (Office of Community Sustainability, Economic Development Authority, Soil Conservation District, Department of Planning and Zoning), so we’ve tried to provide descriptions and links here. HocoFarms.com is a new website created by the Office of Community Sustainability to connect our farms to the community. The website allows the community to find Howard County Farm products easily as well as local farm activities offered. The website also informs our agricultural community on different events that are offered by various Howard County agencies. HOCO Fresh is a new Howard County program to encourage restaurants and businesses to buy produce and proteins from our Howard County Farms. Restaurants and businesses can receive recognition that they have purchased Howard County farm products at the Gold ($5,000), Silver ($2,500) or Bronze ($1,000) levels. For business to become “HOCO Fresh” they must turn receipts in from Howard County farm purchases, into the Office of Community Sustainability. All receipt received must be received by December 31st to qualify for a certification for that current year. The certification will be presented throughout the year on a rolling basis as they are received. Purchases can be made direct from the farms or can be purchased through the Roving Radish Wholesale Distribution Program. Farmers can also sell products to restaurants through Roving Radish. The benefit is that Roving Radish will deliver the products and help build relationships between restaurants and farms. Farm Academy is a program designed to connect the community and farms through farm tours, lectures, and Howard County Fair tours lead by 4-H students. During Farm Academy sessions, farmers explain various kinds of farming operations at their farm, ranging from livestock to crops, produce, and nurseries. Visitors get an up-close look at the farm operation and receive a tour. Each session is around 3 hours. 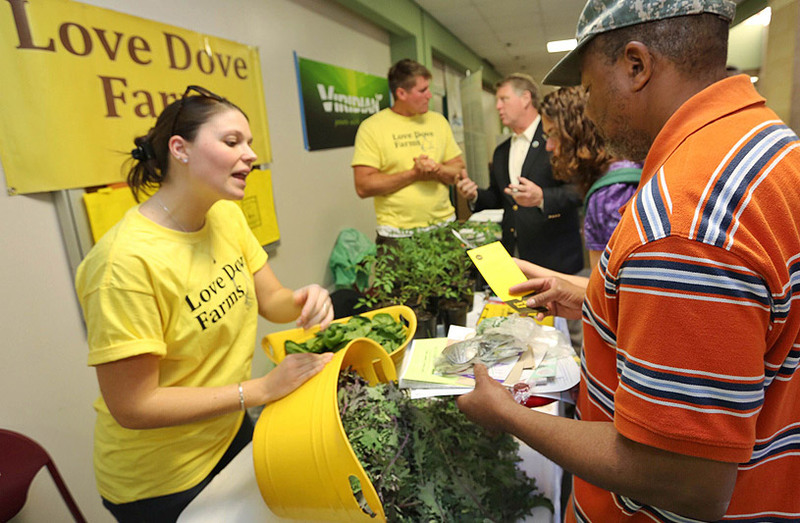 Farm-City aims to provide opportunities for interaction between urban citizens and farmers in Howard County. This celebration highlights our farm-city interdependence and promotes understanding and appreciation between people on either side of the imaginary boundary separating town from country. Farm-City Celebration provides fun activities each fall to help bridge the gap between city and farm life. Visit local farms, public libraries, and farmers markets to enjoy family friendly activities and food from the Howard County farming community. This event is held by the Howard County Economic Development Authority (HCEDA) across Howard County. HSCD’s staff of trained specialists helps landowners make wise land use decisions for their properties. Technical experts provide direct one-on-one assistance to farmers, homeowners, community associations and county departments with natural resource problems and questions. The HSCD is non-regulatory and calls on the expertise of cooperating state and federal agencies in addressing natural resource issues. Cost sharing assistance may be available for conservation practices that control erosion and improve water quality. Visit www.howardscd.org to learn more about their programs. HCEDA includes programs specific to farms and agriculture. Visit their website for information on farm programs, marketing, diversifying, and more. Farm-related listings can be found for farm markets, farm-to-table and a farm search of all agriculture in Howard County. DPZ maintains the Agriculture Preservation programs and works with farmers on issues related to zoning and building codes. To learn more, visit the Ag Preservation and Easements page on this website.